hronic pain is pain that is ongoing for more than three months. Many chronic pain patients have had symptoms for years. Typically, we associate pain with an injury and the injured tissue heals over time and the pain goes away. This is a typical characteristic of acute pain. Chronic pain is different. Chronic pain persists and may vary in intensity. It may be caused by an ongoing mechanism such as arthritis, persistent nerve root compression, nerve root injury or other ongoing processes. In some cases, the exact cause of the pain cannot be identified and can be associated with changes that have taken place within the nervous system itself. he diagnostic evaluation of chronic pain patients often needs to be fairly extensive. A thorough history will be reviewed with your doctor, including when the pain started, treatments received and their effectiveness, any surgery performed, changes in the type, severity and location of pain, and review of previous diagnostic tests. A physical exam will be performed. Imaging may be done including x-rays, MRI or CT. Other tests such as myelography, discography, EMG or injections may also be done. The diagnostic workup will vary based on your history and the tests already performed. he treatment plan for chronic pain patients is typically based on the results of the diagnostic workup and what interventions have already been tried. However, considering the variation in treatments from one center to another, some treatments may be attempted again using a different delivery technique. This may include the way an injection is performed or the components of a physical therapy program. Chronic pain patients are managed with medications, injections, chiropractic care, physical therapy, psychological intervention, education, chronic pain management program and/or surgery. Chronic pain programs generally require the patient to participate in care for several hours a day for a period of usually 4-6 weeks. 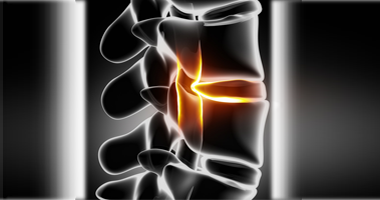 Surgery, such as fusion or decompression, may be undertaken if there is a structural basis for the pain. Surgery to implant a spinal cord stimulator to control pain may be considered. It is important to discuss treatment options with your doctor in deciding which treatment, if any, may be best for you. Chronic pain related to the spine may arise in the back and/or legs and in the neck and/or arms. Sensations of aching, numbness, burning or tingling may be felt. Chronic pain is pain that persists for more than three months. It may be caused by an ongoing mechanism such as arthritis, persistent nerve root compression, nerve root injury or other ongoing processes. In some cases, the exact cause of the pain cannot be identified and can be associated with changes that have taken place within the nervous system itself. 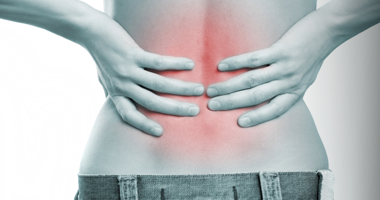 Treatment for chronic pain is based on results of diagnostic tests and previous treatments. Chronic pain patients are managed with medications, injections, chiropractic care, physical therapy, psychological intervention, education, chronic pain management program and/or spinal cord stimulation.